You’re military or retired military and getting a divorce. What does this mean for your military retirement? Just like many areas of family law the division of military retirement is governed by law but fact intensive. What does this mean? 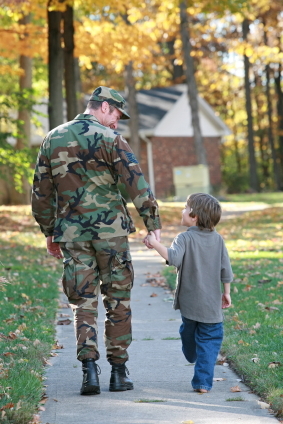 The division of your military retirement will depend on a variety of factors. First, as the law stands now, the only portion of military retirement that the state court has the authority to divide as property is the portion that is “disposable”. Disposable military retirement is what is left over after such things as a VA disability election and other payments defined by statute. Second, Colorado courts often divide your disposable military retirement via the “Hunt/Gallo” formula which is named after two very specific Colorado cases. This formula considers the overlapping months of marriage and service and then giving the non-service member spouse a certain percentage of that. This all sounds simple enough, right? Take your military retirement, get the highest disability rating you can, subtract that from the total amount and your spouse will get less. WRONG! This is a bad idea, the courts are wise, they have developed case law which allows them to look at the timing of the election and take other martial assets to make an equitable division of the property. The court could consider the timing of the election and award other martial assets to your spouse to make up for the portion of the retirement they are not receiving because of the disability election. The court could also award spousal maintenance to your spouse if a need is established. So what is a service member, active or retired, or spouse to do? Seek legal advice. You need to have an attorney who understands this area of law and will fight for you to get your fair share of military retirement regardless if you are the service member or spouse. Gasper Law Group has done the research on this issue and has been successful in getting service members and spouses their share under the law.